Our supplier has stopped production of the Elmau beech foil, and we are down the last roll of Tauren beech. We are looking for an alternative, but as of now we have withdrawn beech as a color in our foiled range. We still have Beech chipboard, edging tape, cornice and lightshield. 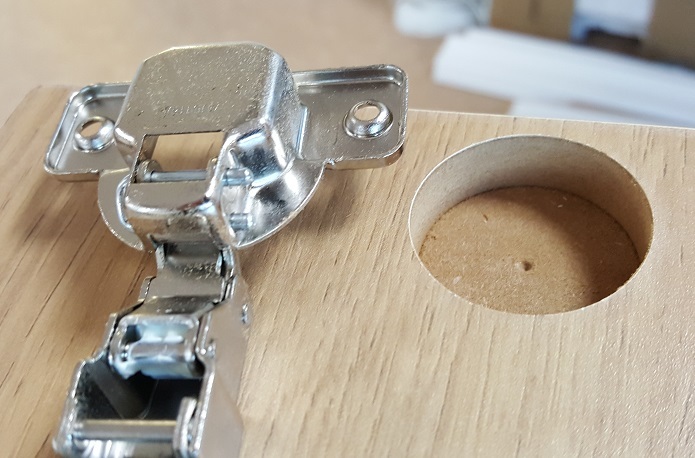 Did you know that we can drill your doors for Blum hinges? We also can supply 100 degree, 180 degree and cranked hinges. 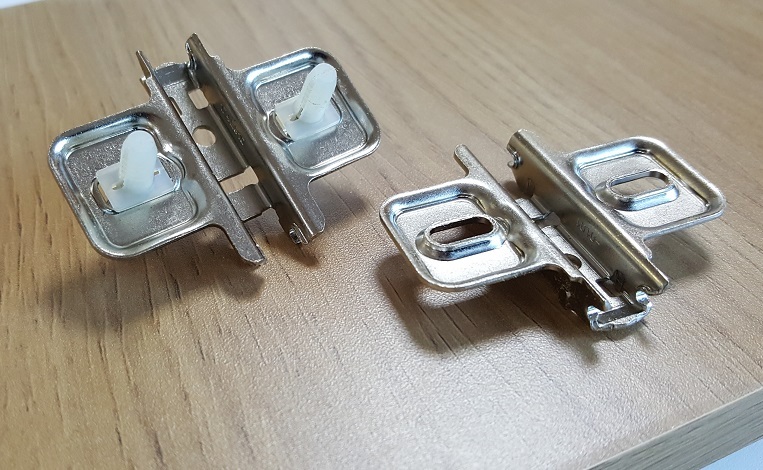 We offer soft close hinges as an option in 100 degree hinges. When drilling doors, we will bore them 100mm from the top, 100mm from the bottom, and 1 or 2 more in the middle if they are tall doors. On doors that are “Handed” because of an arch in the pattern, an inset handle or with 2 panels, we need to know if we are to drill left or right. If you do not specify, we must assume you do not mind. We can drill for Expando or regular mount hinges. 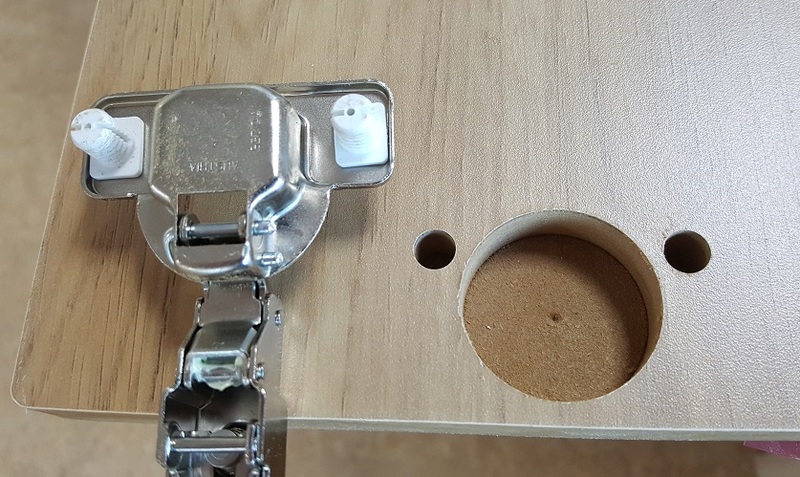 Regular hinges have to be aligned by the installer. Base plates for Expando hinges require Expando style drilling in the carcass. When ordering doors to be bored, be sure to state which type of hinge you would prefer. If you do not specify which type, we will drill for regular hinges. Drilling doors for hinges is an extra cost service we offer. If it’s not specified otherwise, doors will not be bored. Both Olive and Farmhouse pine are being discontinued as colors from our range. As of Jan 2016, we still have a little bit of 18mm chipboard in stock in each color. When it’s gone, its gone! We also have 2mm edging for the Olive so they can be done as Edged pannels. 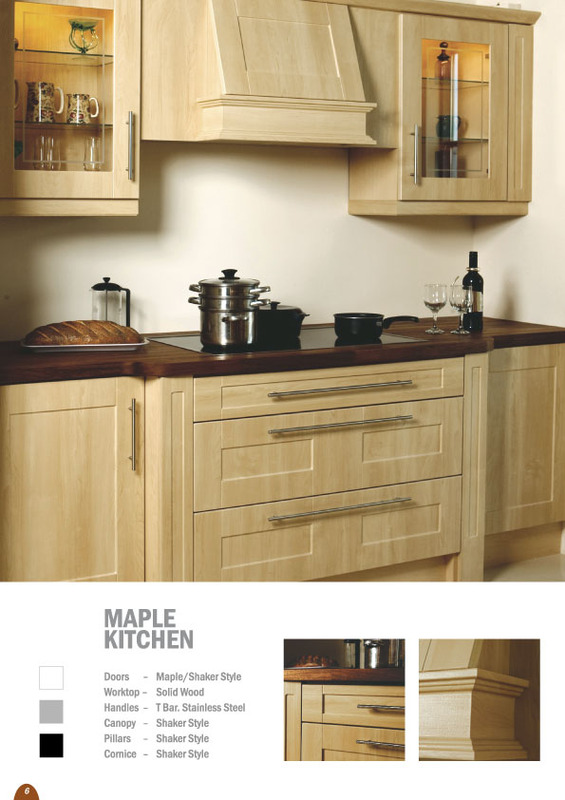 Winchester Oak, Vanilla, Celtic Birch and Sandy Birch have been discontinued colors for quite a while now. Definitely gone. Please click on the link to see what vinyl door colors are available, quite a few have been added during 2015. We will be showing our new range of Acrylic colors soon. If you need a new swatch set, please get in contact with us and let the order office know what you need.